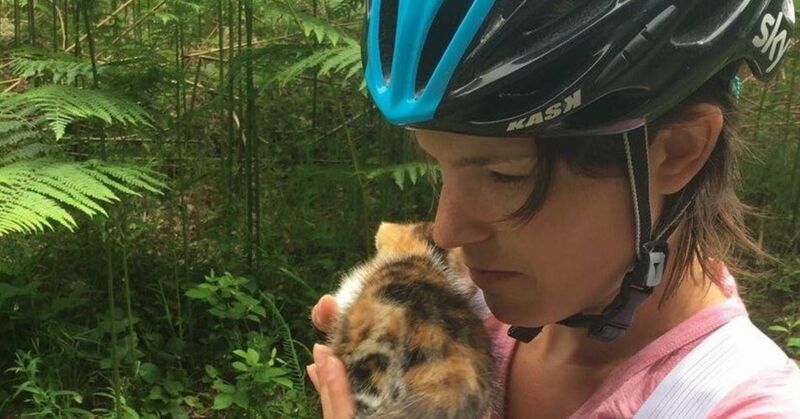 When Celine and her husband, Daniel, set out for a bike ride one day, they never imagined they'd be returning home with another family member. 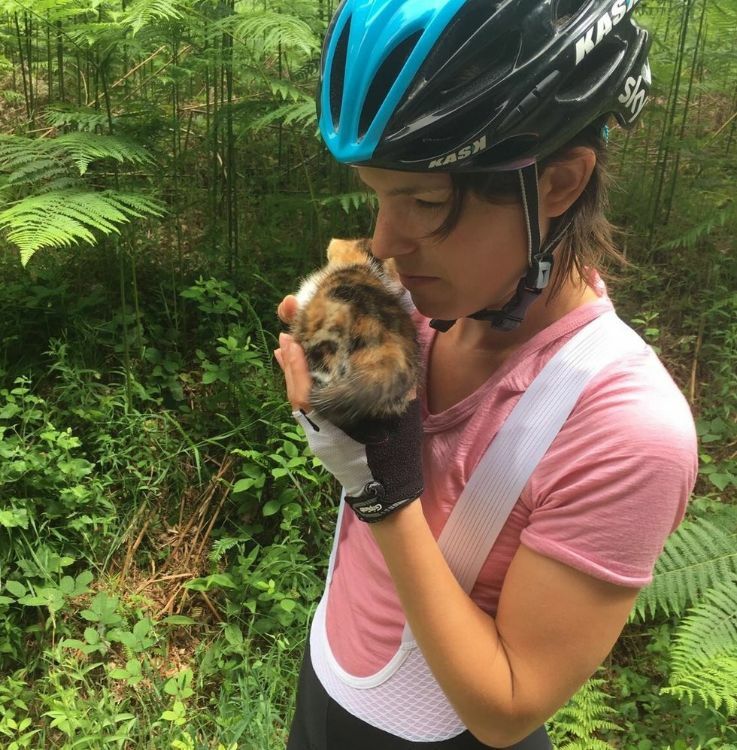 The couple was cycling in the country in Brittany, France, when they heard a tiny meow. It was a bit mystifying because they were in a forest with no nearby houses. Concerned, the couple stopped to investigate. There, they discovered a tiny calico kitten, all alone. And they knew right away that they couldn't leave her. At first, the couple had thought that the noise was a bird because it resembled a screech more than a meow. When they stopped, they realized that the kitten had been the source of the sound. She was in a fern patch by the side of the road. The kitten was so worried that she was afraid to approach the couple at first. So, Celine lay on the ground and waited for the kitten to come to her. 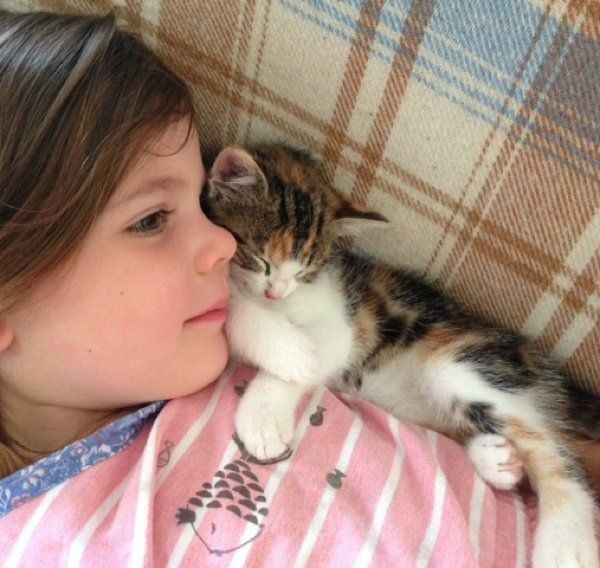 Eventually, the kitten wandered up and cuddled with Celine. Once the kitten decided that humans were okay, she didn't want to be put down and kept climbing all over Celine. So, the couple set about figuring out how to get the kitten home. 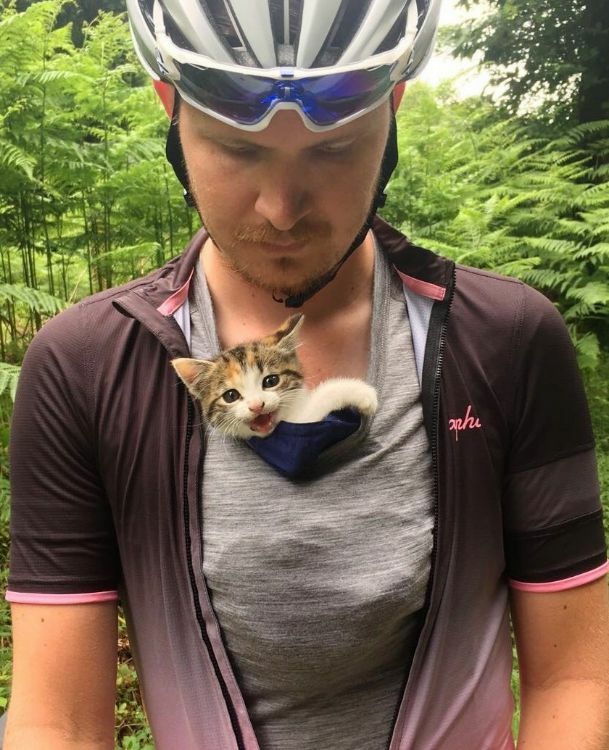 The kitten moved around so much there was no way to keep her securely in their shirts during the trip home. 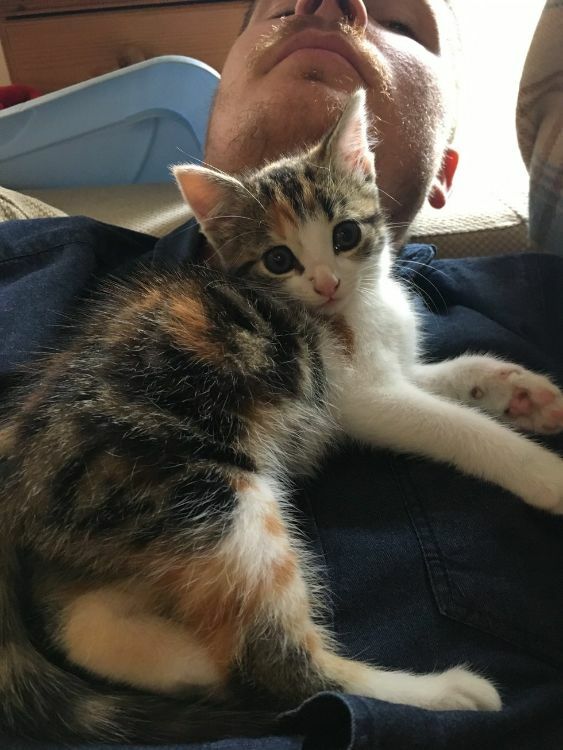 Ultimately, the couple placed the kitten back in her spot and set off for home as quickly as possible, planning to return to fetch the kitten in a car. As soon as they got home, they grabbed a box, jumped in the car and headed back out to the spot where they'd found the kitten. When Celine called her, the kitten emerged from her hiding spot and ran to the car. She jumped right into her arms, ready to go home. That night, the kitten groomed Daniel to show her gratitude to her rescuers. 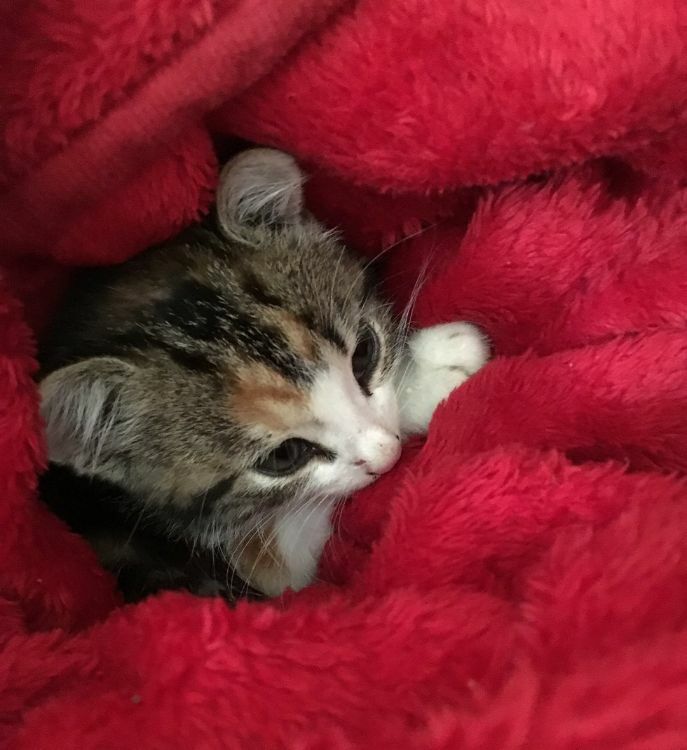 The couple named the little kitten Mini Kitty. Though she was small, Mini Kitty had a big appetite and ate as much food as possible during the next few days. She also slept next to Celine or Daniel. Now, Mini Kitty is a huge cuddler and loves to snuggle up next to them. Mini Kitty also has a playful side. She's very friendly and will run up the stairs to greet her humans when they get up each morning. And her purr is a powerful, loud motor. 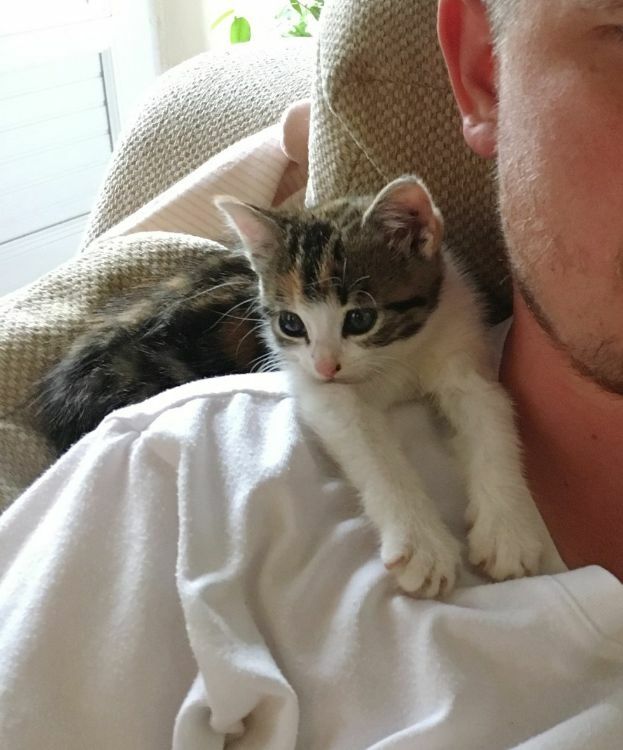 This sweet kitten, who was once afraid of people, now adores them. 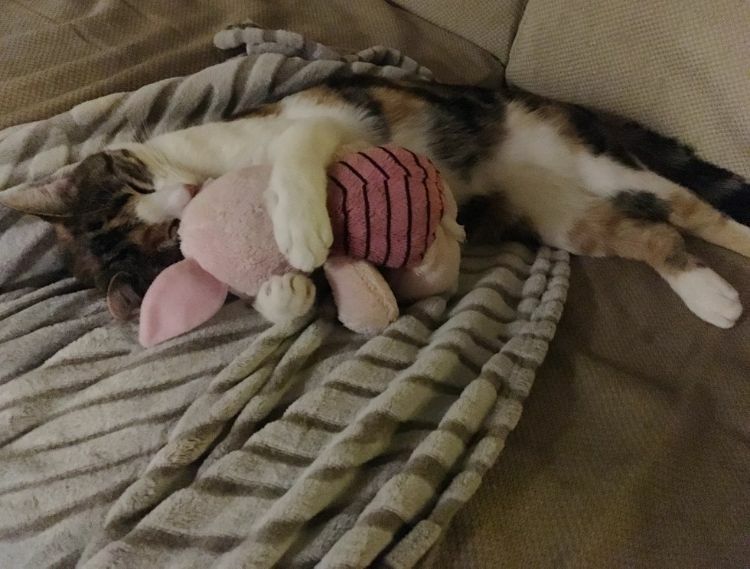 She's always happy to snuggle with someone. The couple have a dog and another cat, and Mini Kitty is the youngest member of the family. 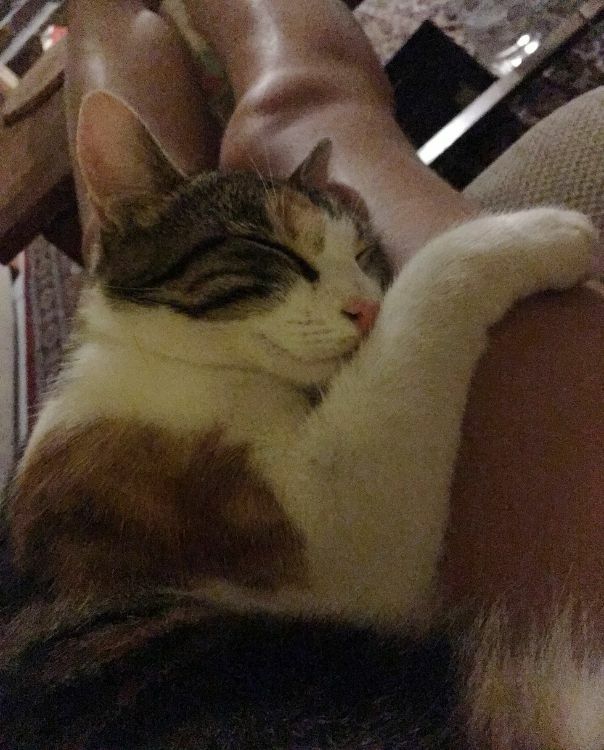 She loves to cuddle so much that she doesn't limit her snuggle time to just humans. 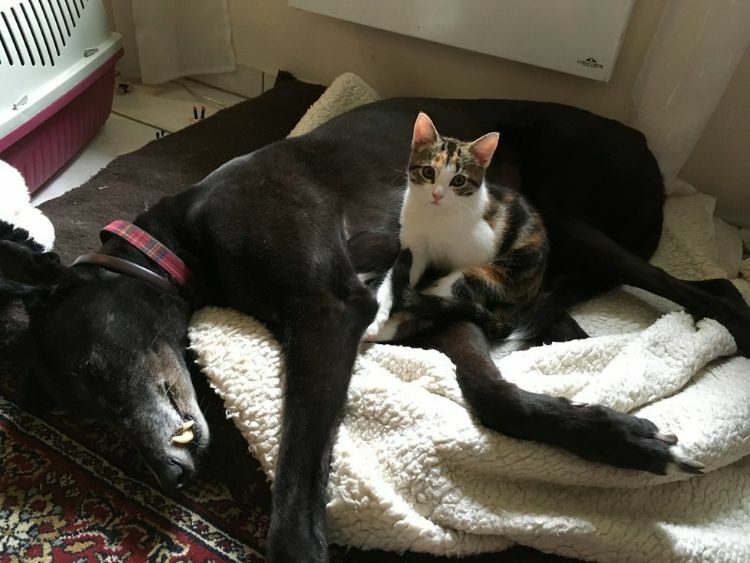 Her other canine and feline siblings are also ideal cuddle partners. Mini Kitty's personality is huge. She'll brighten up anyone's day. This cute kitty loves to play. After a year, Mini Kitty is no longer mini. However, she hasn't lost her love of cuddling. And she's just as playful as ever. 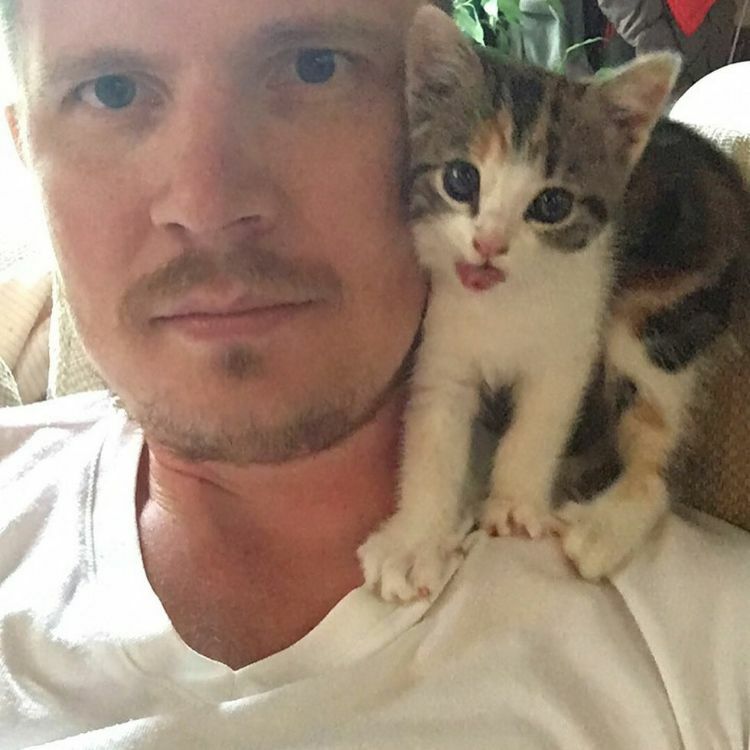 What a lucky kitten to have found such a wonderful home.